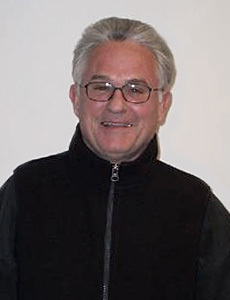 Frank Francese was born in Arizona in 1951 but has resided in Colorado for most of his life. He has been a professional artist since 1976 and achieved the groundwork for his profession while attending Western State College in Gunnison, Colorado. Watercolors came to the forefront of Francese's artistic work in 1983. His liquid style is unique and distinctive. Frank enjoys working on a very wet surface, letting the pure color mix itself on the paper. His shapes are large and loose, often disregarding fine detail. Frank uses abrupt color changes of he same value with the while of the watercolor paper to bring his paintings to life. The subject matter for Francese watercolors is always varied, reflecting his national and international travels as well as local western Colorado scenes. Frank Francese NWS will be teaching a 3 day workshop at the Corn Loft Studio, Ferns; for the dates of September 7-9, 2012. The workshop schedule will consists of 2 painting demonstrations each day using sketches of the Irish countryside. Students may use any size of painting surface or medium of their choice for this class. Day 1: Country farms with cows, farm machinery etc. Day 2: Irish city scenes; with people, cars, buses buildings etc. Day 3: Seaports with ships, fishing vessels etc.